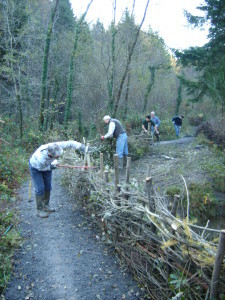 Local volunteers of all ages give their time by helping with woodland restoration work. We regularly work in the woodland to improve access, clear brash, re-plant native trees, clear water courses etc. 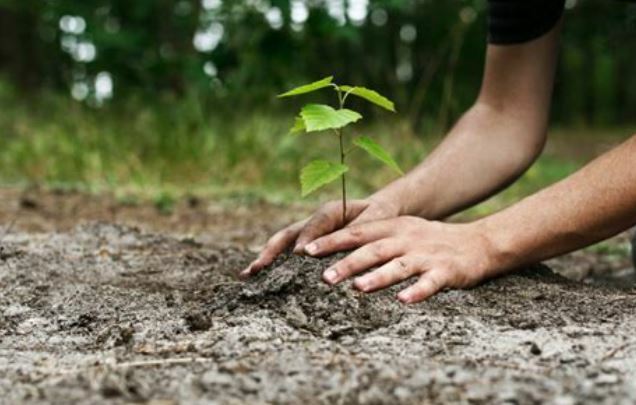 We meet at 10:00 am – 12:00 pm every Sunday to carry out conservation work in the woodlands. Please wear suitable clothing (you are likely to get dirty!) and bring a drink. To volunteer with us just arrive on site or email us for further information. No conservation work is carried out at this time of year to avoid disturbing the wildlife during the breeding season. Occasionally, a number of volunteers carry out non-invasive regular maintenance tasks. We can accommodate outdoor classroom studies by prior arrangement and are happy to provide guided walks for any interested parties.